Trinseo (NYSE: TSE), the global materials company and manufacturer of plastics, latex binders and synthetic rubber, is seeing increased demand for its glass-filled CALIBRE™ 5000 Polycarbonate Resins for medical device applications. The medical device industry continues to grow globally. With the rising trend toward device portability and bedside care, Trinseo’s resins are being used as an alternative to metal and higher cost plastics. The glass-filled CALIBRE™ 5000 Polycarbonate Resins series was developed specifically for medical device applications. The materials feature properties that are important to such applications including sterilization options, comprehensive ISO 10993 biocompatible test support data, robust lot traceability and a strict management of change process. Trinseo’s glass-filled resins can be custom formulated to meet application needs with varying glass content of up to 30 percent. Combining stiffness, toughness, dimensional stability and biocompatibility, the resins can be used for devices ranging from hand-held surgical instruments, to diagnostic devices and patient monitor housings, and even wearable devices. Glass-filled polycarbonate can be used to replace metal parts or to down gauge existing plastic parts. The CALIBRE™ family of products offers the advantages of processability and flexibility for creative design. These resins also enable the consolidation of parts through the molding process and potentially can reduce assembly costs. 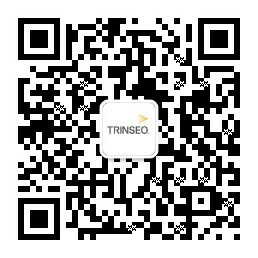 Trinseo has a history of supporting the medical device industry and recently became ISO 13485:2016 certified to support the industry’s disciplined quality control and regulatory guidelines.